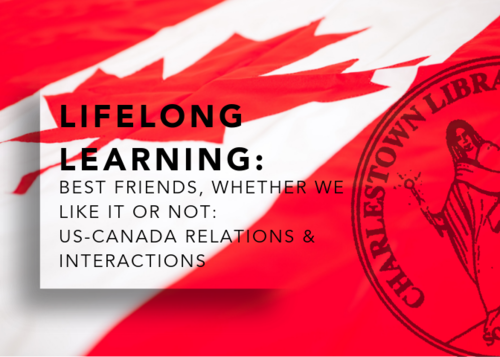 This Lifelong Learning class will cover the history of the relationship between the US (or its precursor colonies) and Canada (or its colonial precursor) from the fall of Quebec near the end of the French and Indian War to the present. The impact of each on the other, in terms of flow of people, of trade, of conflict or cooperation, and of cultural interaction will be covered. Perspectives on identities in the 40 years following the Declaration of Independence and a somewhat new take on the War of 1812 will be covered. The shift from cautious friendship after 1870 to the closest of allies today will be addressed, and contemporary relationship challenges related to trade and defense will be analyzed. To purchase tickets, call 843-723-9912 or click here. This entry was posted in Events, History, Organizations. Bookmark the permalink.